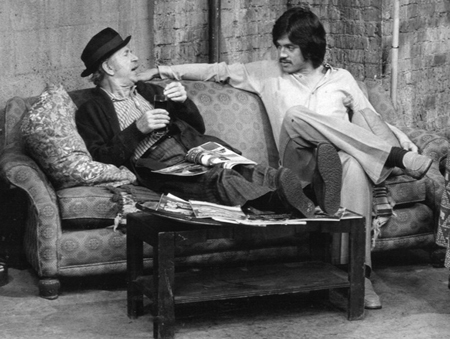 In the mid to late 70’s there was a NBC show called Chico & The Man starring Jack Albertson and Freddie Prinze. I believe that this very statement is one of the top reasons that Mobile DJs do not excel at weddings. This attitude is so prevalent within the event industry that we all have worked with people like this. Don’t let it be you! 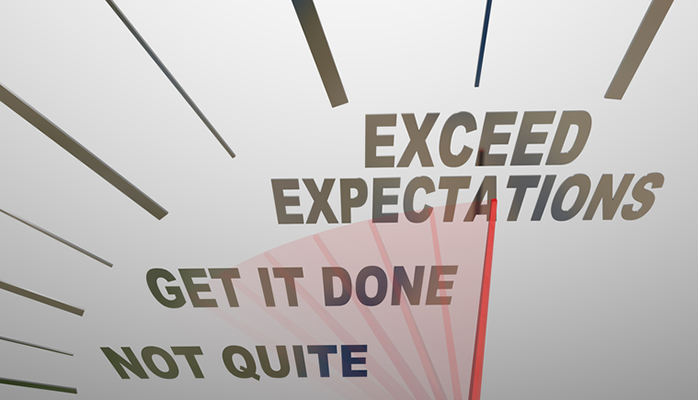 Far too many people are comfortable with meeting their client’s expectations. Now you are thinking….what? I always meet my client’s expectations! Great, all that means is you are not disappointing them. When you just meet expectations, you are mediocre. If you adopt the mindset of just meeting expectations, you make it a habit, and it will be hard to change in the future. To be exceptional, you must always exceed expectations; make that your habit instead. This success limiting factor is referring to the overall mindset of most people who unreasonably resist taking on additional work when it is truly needed for the success of the event. There are times when we must do a little more (or a lot more) to support others, even if it is not part of our job description or what the client contracted us to do. Pitch In: If you have the ability to help another vendor, do it! Don’t expect anything in return; it does not always work that way. Set Limits: There are good reasons for not doing something (I am not qualified or I am doing my job) and bad ones (it’s not my job). When you set limits, try to be helpful. Maybe provide an idea or solution that would make someone’s job easier or better. Make it your job: Perhaps there is something that you are always doing that is not in your general job description. Consider adding that to your services and charge appropriately for it. Hold people accountable: When you do something that is clearly the responsibility of another vendor, let them know that you took care of it for them. Perhaps they were unaware or distracted and they can watch for that in the future. Most will appreciate your assistance. Don’t Finger Point: Vendors sometimes fall into the trap of finger pointing when a problem arises, concentrate on fixing the issue, rather than assigning responsibility. The ultimate goal at every wedding (or other event) is to creating an incredible experience for our mutual client. It is everyone’s job to help achieve that goal. I am not advocating that you do things that you are not comfortable or qualified in doing. Don’t do anything that is dangerous or too far outside your comfort zone of doing it correctly. However, be proactive, help when you can, don’t expect recognition or repayment, and always put the client’s needs first. It WILL make a difference, and people will notice. Don’t be mediocre, don’t be average and your referrals will increase, client satisfaction will increase and YOU will be the DJ that other vendors will want to work with.